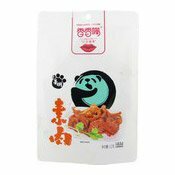 Allergy Advice: Contains Soy, Soybean, Fish. 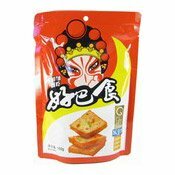 Ingredients: Hot Flavour: Isolated Soy Protein (15%), Water, Soybean Oil, Chilli (3.5%), Potato Starch, Fish (1.3%), Salt, Brown Sugar, White Pepper, Yeast Extract, Sugar, Flavouring, Flavour Enhancers (E621, E635), Ethyl Maltol. 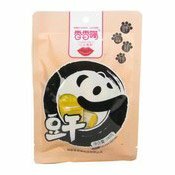 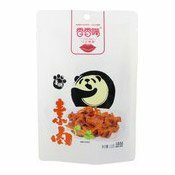 Fermented Soybean Flavour: Isolated Soy Protein (15%), Water, Soybean Oil, Fermented Soybean (3.4%), Potato Starch, Fish (1.3%), Salt, Pickled Chilli, Sugar, Pickled Ginger, White Pepper, Yeast Extract, Brown Sugar, Flavouring, Flavour Enhancer (E621, E635), Ethyl Maltol. 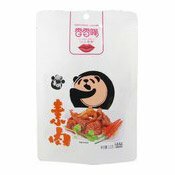 BBQ Flavour: Isolated Soybean Protein (14.8%), Water, Soybean Oil (8.3%), Chilli (3.2%), Potato Starch, Fish (1.3%), Salt, Cumin, Sugar, White Pepper, Yeast Extract, Brown Sugar, Flavouring, Flavour Enhancer (E621, E635), Ethyl Maltol. 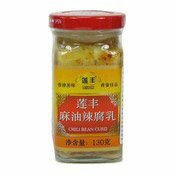 Simply enter your details below and we will send you an e-mail when “Dried Beancurd Dougan (BBQ, Hot, Fermented Soybean) (好巴食豆腐魚)” is back in stock!